Yes! Finally. The Oscars have nominated a diverse and deserving group. Both black people and women hold a fine place in the nominations this year. It’s about time. There are a number of historic moves here. Nominating a female director is huge, (the last one nominated was Barbara Steisand, about 30 years ago.) So is the amount of nominations for Get Out. It might be a horror movie, but it is right up there with the best of them, for some of the biggest nominations. That movie, (which many, including myself, consider the best movie of 2017,) received a nomination for best picture, best director, best writing, and best actor. Other impressive areas are Mary J Blige getting a nomination for acting in Mudbound (a Netflix movie!) Prediction: This is the year that Netflix officially gets on the map. This year they had their first big budget, A list star action film, Bright, and their first Oscar nominated movie. There were definitely contenders in the past (Beasts of No Nation,) but this is the year it finally happened. And if next year Netflix gets a best picture movie nomination, it will be proven true. In a year filled with tons of nomination accomplishments, Greta Gerwig getting nominated for directing a Lady Bird might be the bigggest of all. It is so rare that a female director gets an Oscar nomination. Katherine Hardwicke might be the rare exception, (The Hurt Locker, Zero Dark Thirty,) but for the most part it doesn’t happen. And unlike Hardwicke’s movies, which are shoe ins for the big race based on their subject matter and genre, Lady Bird, like Get Out, is something new. It’s a black comedy. Since when do we get a black comedy and a horror movie in the best picture race? Here are two more surprises / accomplishments… Rachel Morrison, cinematographer for Mudbound, and Logan for best screenplay. The Mudbound accomplishment is that this is the first time a woman has been nominated for best cinematographer EVER!!! And regarding Logan, it’s a superhero movie. Granted it feels more like a western, and is dark and dramatic as hell, but still. It’s an X Men movie. And the fact that it got s nomination in a major category, (as opposed to something like sound design or special effects,) is tremendous. And now for the negatives. Let’s start off with one that actually isn’t negative at all, but most definitely a surprise. The Post. The movie that had the word Oscars all over it. Spielberg, Hanks, Streep, historic subject matter about the empowerment of women, released at the most perfect time of the year. It did get a best picture nom, but nothing for Hanks, Streep, or Spielberg. In past years, all Streep would have to do is show up in s movie to get nominated (Riki and the Flash.) But this was the year we woke up. Then again, Denzel Washington is nominated for a movie he probably shouldn’t be. Norman J Esquire or something like that. It’s a movie that nobody cares about, nobody went to see, and that probably isn’t very good. Similarly, it’s a bit surprising that The Phantom Thread received so much Oscar love. Sure, like Denzel, anything that director Paul Thomas Anderson does has immediate Oscar potential. And to get Daniel Day Lewis as the star only enhances the chances. But is it really deserving? Probably not. Luckily, however, these are the few spots of disappointment, whereas the nominations this year have given us do much to celebrate and be happy about. The nominations aren’t even out yet. It’s mid-January, and we just had the Golden Globes. But that’s enough, (that and the word of mouth that everyone already knows,) to determine what movies will be nominated for best picture when Oscar noms come out. This is the year when the list of the best movies and best performances are kind of obvious. But to understand why, one has to also understand a little bit about recent Oscar history. In recent years, the Academy Awards have become all about two things..being politically correct and making up for last years mistakes. This all really started the year that no black actors, directors, or movies were nominated. The year was also known as “Oscars So White.” It was the 2016 Oscars. Only one year after 12 Years A Slave won best picture, 2016 was the year when the Oscars got deemed as racist. And the backlash or result was that the following year a black movie was deemed necessary to be the winner. Sure, we all know that Moonlight won, but did you know that there was another movie that was being prepped up and all ready to be nominated before that? No it wasn’t La La Land. It was a movie called The Birth of A Nation. This film was leading the pack, halfway through the year, on the top of every critic’s list of best films. It was a shoe in to be best picture. And then a controversy came out with the lead actor, Nate Parker, and the movie fell apart. And that’s what led to Moonlights best picture win. Moonlight is an okay movie. Sure it is real, and gritty, and all that. And yes, black movies needed to be nominated that year. But there’s no way that Moonlight is even in the same category as La La Land. One is an okay film, and the other is a masterpiece and modern classic. Not only were the cards stacked in heavily towards Moonlight winning best picture, but that wasn’t enough. La La Land actually started to get a backlash to the point where the people were putting it down, saying it was overrated and not really that good. It got to the point where if you were saying it was better than Moonlight, than you must be a racist. This kind of blind bigotry started to dominate the talks. Here’s an example of all that… La La Land became known as the movie where a white person explains jazz to another white person as if he’s the expert. Ryan Gosling explatoin jazz to Emma Stone. Only the truth is that Ryan Gosling’s character, Sebastian, is just a fan. He doesn’t really understand it. It takes a black character, played by John Legend, to tell Sebastian that he is wrong and that only talking about the great is the reason why jazz is dying out. One has to look to the younger people and to the future. But no matter how much backlash La La Land started getting, the academy knew it really should have won best picture. Since their hands were tied in that category, and they were clearly mandated to give the award to Moonlight, (or the voters just voted for Moonlight because of the political climate,) the academy tried to make up for it by giving the best actress Oscar to Emma Stone. Only she’s not that great. The movie is terrific, but the individual acting performances are nothing special. Well, this year has a theme, just like those others. If last years the me was black movies, than this years theme is women. Thank Harvey Weinstein and his awful behavior for that. Of course it’s a great theme, and women deserve as much money as men, and women shouldn’t be sexually harassed and all that, but this shouldn’t determine the outcome of what is the best movie of the year. We need to start separating awards from politics, at least when it comes to deciding the winners. I have no problem with Merryl Streep getting up there and making a speech about how terrible Trump is, but lets not decide the winners based on this sort of thing. 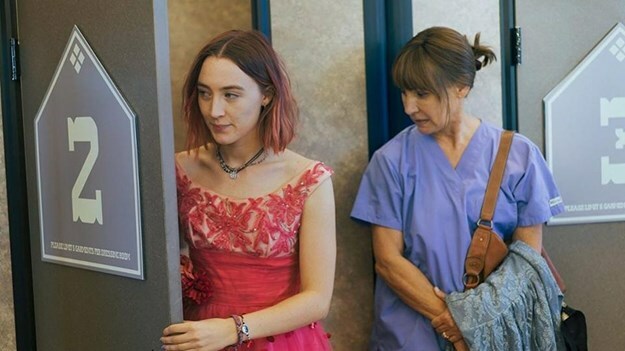 With all of this in mind, I do believe that Ladybird deserves some recognition, (a best picture and best director nomination.) 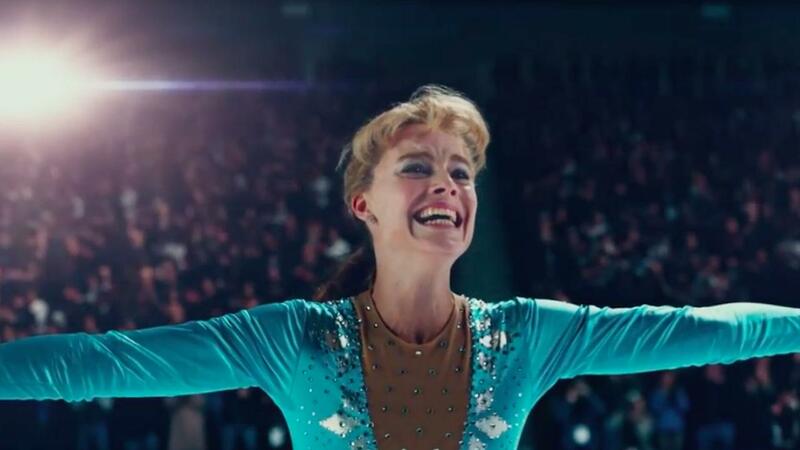 I think I Tonya does too. Those are the two big female centric Oscar caliber films. But let’s not go nominating Wonder Woman or its director, simple because it’s the first female superhero movie. Getting back to who will win, (or at least be nominated,) and why, the best supporting actress category will come down to two actresses. Allison Janney, (for I Tonya,) and Laurie Metcalf from Ladybird, (both playing estranged mothers of the protagonist.) Janney will win, and rightfully so. In the best director category, we will get Christopher Nolan (Dunkirk,) Guilermo Del Toro, (The Shape of Water,) Steven Speilberg (The Post,) simply because he’s Steven Speilberg, and hopefully the director of Ladybird, Greta Gerwig. 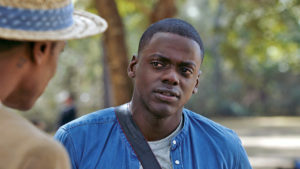 Will the Oscars also nominate Jordan Peele for Get Out in this category? One certainly hopes so, considering that it was truly the best movie of the year. But this isn’t the year of the black movie. That was last year. And this isn’t the year of the gay movie, (sorry Call Me By Your Name.) That was also last year. This is the year of the female movie. Which film fits that category best is anyones guess. 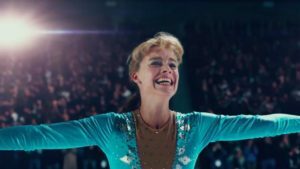 I’ll say this though… I Tonya and Ladybird are good films, and definitely deserving of a nomination. But if one of them wins best picture… well, you know the reason why. And look out for Wonderwoman, (a fine film, but not best picture worthy in any way,) because if that one gets nominated, than the academy’s agenda is more obvious and transparent than ever. Let’s just keep our fingers crossed for Get Out, and wait, and see.